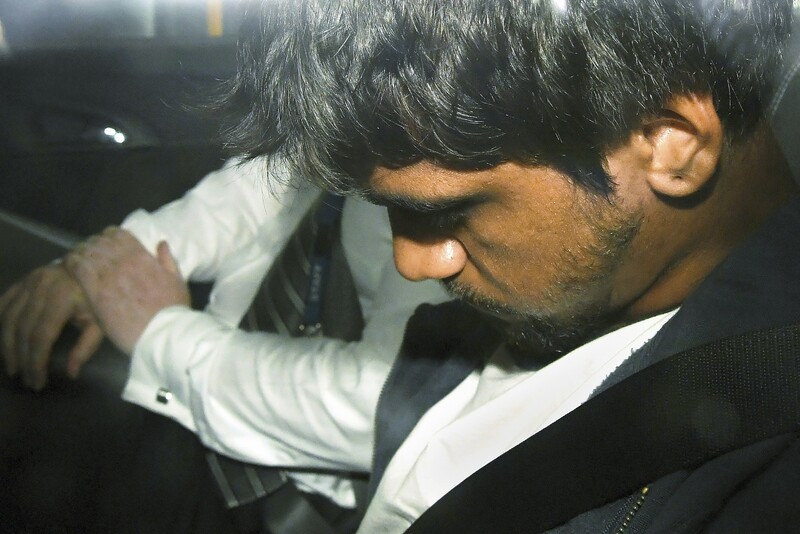 A man in Melbourne was arrested in connection with the killing of a university student in the city. Although, it is not clear whether the arrested man is the suspect in the murder or not. The victim was a 21-year old lady by the name of Aiia Maasarwe. The arrested man is 20-years old. Aiia was attacked and murdered on Wednesday night when she was speaking on the phone with her sister. The murder of Aiia has shaken Australia and elicited global attention. The 20-year old was arrested on Friday at around 11:20 am in the Greensborough area. The police are grateful as members of the public assisted with the investigation. The police had requested the public to help in the effort to find and catch the killer of Aiia. She had been assaulted as she got off a train in the Bundoora area, near the university, where she had been studying as an exchange student. At this moment, it is assumed that the attack was random and opportunistic. Aiia’s body was found near the train stop and since then there has been a substantial police presence in the area. The police have called out for the public’s help asking for information about a light gray t-shirt and a black cap with the numbers ‘1986’ displayed on the front. These items of clothing were found at the murder site. The police are sure that someone in the community is aware of who committed this crime. There must have been somebody who returned home that night, bloody, without items of clothing. Aiia’s father was in Melbourne to coordinate bringing the body back to Israel for burial. Investigative forces are faced with a case which has been termed as random and opportunistic. In such a situation where the police have little clue about the motive behind a crime, the ‘search area’ or the ‘set of possible culprits’ is relatively bigger. The police have solicited the help of the local public to provide information about a grey t-shirt and a cap with 1986 written on the front. They are certain that someone in the public has witnessed the culprit return home with missing clothes and possibly blood stains on them. For the investigative agencies, this is akin to looking for a needle in a haystack. The motive for the murder could not be determined. Such an investigation, using regular means could take weeks and months before something solid is found. This does little to allay the pain which Aiia’s family feels. Also, Melbourne, which is believed to be one of the most livable and safe cities in the world, must now live in a state of fear, until the authorities are able to find the culprit and put him behind bars. The police must look towards a scientific and foolproof method to properly investigate this case which has shocked the world. Brainwave Science, a Boston, US-based company have come up with the solution to this gap in the field of intelligence gathering. They introduced a technology named iCognative which can revolutionize this field. It relies on a completely new way of specific screening of suspects. It does so by measuring brain responses of the test subject when crime-related information is shown to him or her. After analyzing this response, iCognative technology determines, with 99.9 percent accuracy if the brain of the suspect contains cognition of the crime-related information or not. The is based on the principle that only a planner or executor of the crime will know the intricate details of the crime. The witness will also know about certain details of the happening of the crime. At the same time, the innocent might not know anything or at most be aware of whatever was released into the media. The iCognative test can help the investigators find out the level of involvement of the test subject in a specific crime. A potential criminal can also be proactively identified by a iCognative test. This is in contrast with the mostly reactive nature of conventional investigative disciplines. The scientific nature of iCognative allows it to be able to throw light on the structure of the criminal organization to which the suspect might belong. Moreover, it can help find out the suspect’s level in the hierarchy of his or her organization. In a iCognative test, the test subject, usually a witness or a suspect, is made to wear a specialized headset and exposed to a series of pictures, words or phrases on a computer screen. These are called stimuli and are related to the crime being investigated. The subject’s brain emits a response every time a stimulus is flashed on the screen. The brain response is picked up by the headset and sent to the computer which runs the iCognative software. Here the computer immediately analyses if the suspect has the information already present in his brain or not. At the end of the iCognative test, a report is an output which indicates if the crime-related information is ‘present’ or ‘absent’ in the brain of the subject. In this case, the stimuli are pictures or verbal references to the gray t-shirt, cap with 1986 on the top, confidential pictures of the body of Aiia, call or text records which the murderer might possibly know, places which Aiia might have visited in the past few days, etc. The arrested man can be made to take the iCognative test to indicate whether he has any connection with the murder. iCognative, by Brainwave Science, helps the authorities to help exonerate the innocent and incarcerate the guilty. Melbourne police must use iCognative, the groundbreaking technology provided by Brainwave Science to help solve the murder of a young student.